Note: please use the mobile version if you are viewing this on a mobile device. so you are ready to participate in the meeting! Without Umpires there can be no District Play downs, Championships or GG Tournaments! A number of our most dedicated umpires will soon be retiring leaving a heavy burden to those that remain IF new umpires are not found and trained. The Ottawa Short Mat Bowls club has a new website. The last Bowling of the season will be on Wednesday April 24 and April 30. Bowling sessions will be on Monday and Wednesday afternoons from 1 to 3 , (subject to any blackout dates set by the City of Ottawa. Bowlers should bring their own lawn bowling bowls to the hall to play. The club will only have around 4 sets of bowls to be used at the club. (There is no place to store your bowls at the hall. Sessions will generally include draw games of 10 to 14 ends depending on how long it takes to complete a game and stow the equipment. The initial cost per session will be $6.00. This will cover the rent for the hall, general expenses and provide for the acquisition of new mats. To participate EVERY member of the club MUST have a valid OLBA mebership and will be required to show the card on the first date of play. Note: If you Bowled at a lawn bowling club this past summer, you should already have a valid card until it expires at the end of April. If you do not have an OLBA membership, they can be acquired through the club at an additional cost. ﻿Lawn bowls is a precision sport that is played for the challenge and competition, personal enjoyment, physical activity, the pleasure of spending time outdoors and for social interaction. It is also a low impact, therapeutic form of exercise. Click on the image for the February issue. go the OLBA website for past issues. 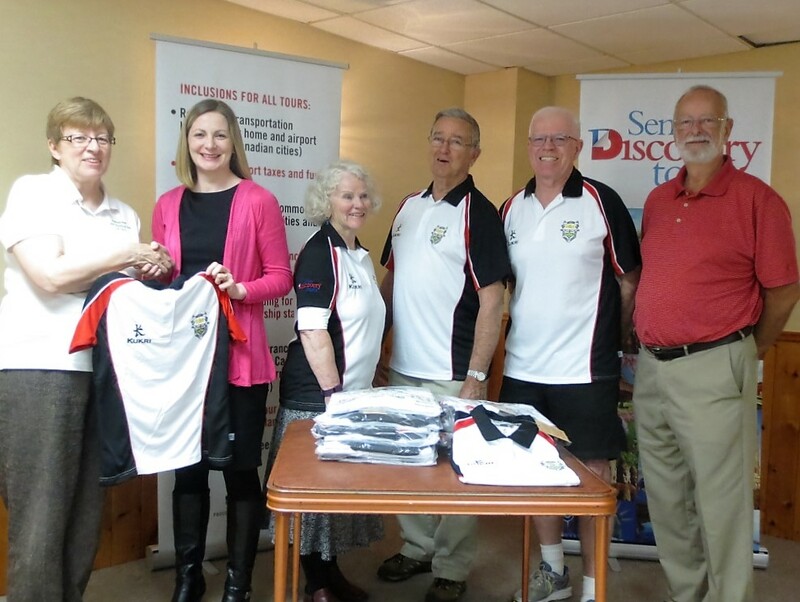 Aisling Keenan, the Ottawa District Manager for Senior Discovery Tours presents new team Ontario shirts for the annual Governor General’s tournament between Eastern Ontario and Quebec to District 16. 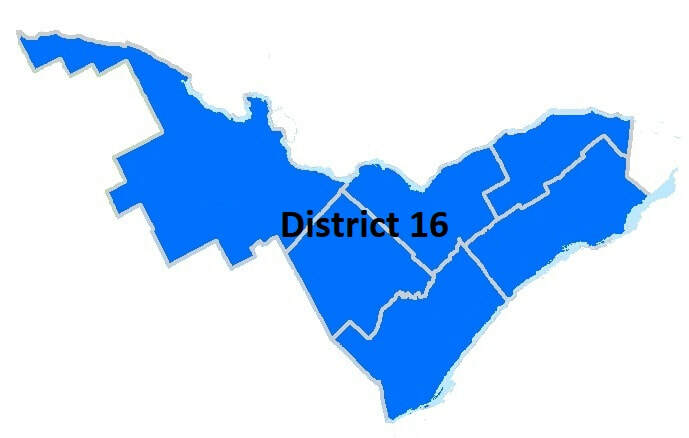 Senior Discovery Tours is now the major sponsor for the Governor General’s Tournament and in April 2017 will be providing $500 per year towards the event. The Governor General Tournament Committee and Trustees are very grateful to Senior Discovery Tours for their support.